This month’s mix is a tribute to Black History Month, Black Future Month, and most of all Black Excellence. Black Excellence, contrary to the opinion of some, does not need White Recognition, Validation, or Understanding. 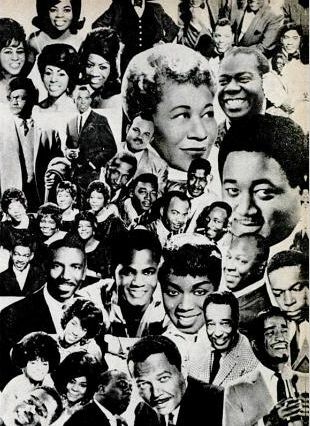 Black Excellence is visible all around all the time, but the last few weeks, I, and so many others, have been inspired by the work of musicians who have used their art to celebrate blackness; to illuminate, to challenge, to expose systemic racism and oppression; and to advocate for change in powerful ways. 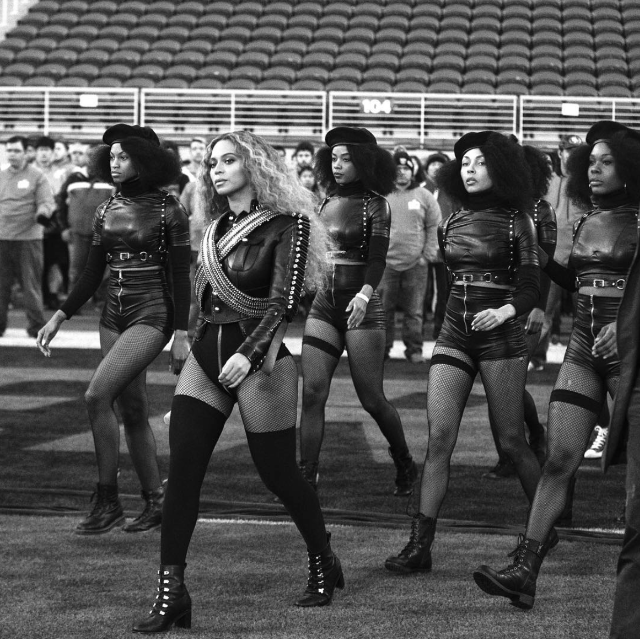 This includes Beyoncé’s “Formation,” her performance of it at the Superbowl the day after, and all the wonderful writing done by black writers and scholars on the video and its significance. This also includes the striking performance by Kendrick Lamar at the Grammy’s. He and his backing band came out wearing chains to the sound of a saxophonist playing jazz inside a cell. Then, backdropped by a bonfire, djembe players played African rhythms as dancers performed traditional African dance movements (rooted in different communities and countries in Africa). 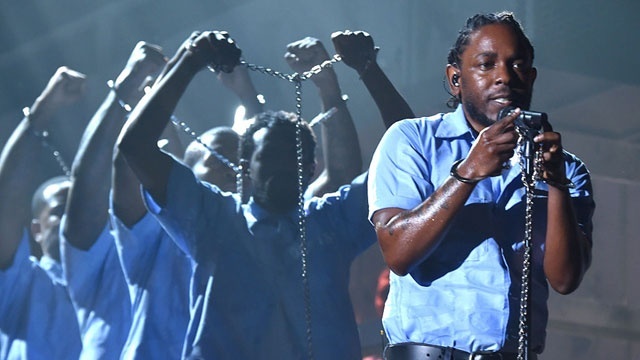 He referenced the death of Trayvon Martin (“On February 26, I died too”) and in the set and the lyrics, he pointed to the racism of the prison industrial complex. A strobe light flashed across his face as his rapping sped up and the camera switched back and forth to reveal him from different angles. Then the music stopped and he was silhouetted against a cut out of Africa with “Compton” written in the center. I feel grateful for the Black Lives Matter activists who have, through their brunch sit-ins and human barricades across bridges and so many other actions, have provided disruption (here is a wonderful On Being episode with Black Lives Matter Co-founder Patrisse Cullors and public health expert Dr. Robert K. Ross). Their actions disrupt daily routines and regular messaging to demand that people pay attention to the way in which systemic racism is impacting communities of color in this country. 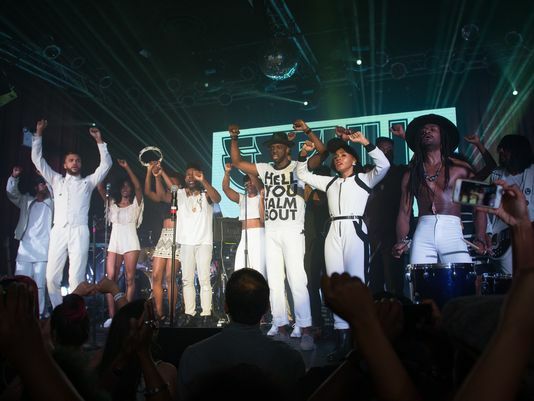 To me, the addition of these performances by well-known and well-respected musicians, is another kind of disruption, one that activists and artivists of the #blacklivesmatter movement paved the way for. As a white person, I have learned much over the last decade about my own privilege and systems of oppression and I still have a lot to learn. I’m grateful for all the writing and discourse and art happening now from artists and activists of color that allows me to expand my understanding and grow. 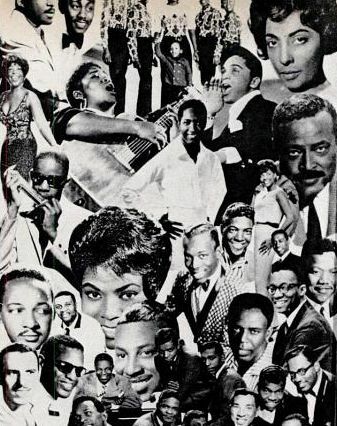 This mix of 29 songs for the days of February is a way of paying honor and tribute to some of the Black musicians whose music has moved me, allowed me to open and experience joy, and given me the chance to see things in new expansive ways. For fun, here’s a video of President Obama leading a crowd at the White House in a Ray Charles song.